We're back and Thank You! as most of you knowmy husband passed away suddenly last year to a massive heart attack. I have a brand new Pizzelle Iron that makes 5 inch cookies. Yes, we are taking Orders for the Holiday Season. Yes, pricing has gone up considerably. First of all this is becausethe price of my ingredients has over doubled. 18 eggs alone is 5.00 now. butter the same. Shipping the best way to keep it even remotely reasonable and fresh to you was USPS, priority, flat rate boxes. We are also still struggling with a broken heating element on an ancient oven. Trust me when I say we have scoured the earth for the part. Funky little oven in WEIRD place in Kitchen. We would like to thank everyone that participated in our Valentine's day Special! We appreciate all of you so very much! No more orders for Valentines day accepted. All Orders will be shipped 2 day Priority Monday 2/11-2013. We will Also be doing a give away for a full Order of Biscotti Via our Facebook page. Please stay tuned there for details. We would like to remind you to order Early. Orders will be filled in order they came in on. Shipping will be Feb. 9th-10th. We hope you all had a wonderful Holiday season! We are back in the kitchen working and very thankful that we are still so busy! 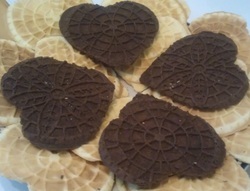 on our home page http://www.italiancookies4ubyme.weebly.com we have listed our specials for Valentine's day! ALL Baskets ordered will have the Option of FREE white or dark chocolate drizzle! Please remember to order early to insure Valentine's delivery! Unfortunately, at Christmas we had to turn away some orders (which made me so sad) as they were received too late for us to bake and ship. ONLY LOCAL orders will be taken after Feb. 8th to insure timely delivery! Wishing you and Yours the Happiest of Holiday Season! Gabbie and I will be gone from Friday December 21st through late Wednesday night December 26th. We will answer all contact forms at that time. 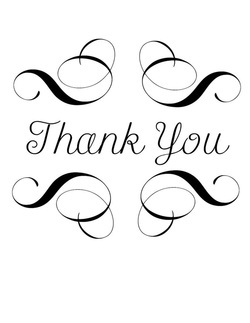 Thank you very much for making Everything Pizzelles a success in 2012. We are humbled and love you all! Good Morning! I have 5 minutes to breathe :) We would like to THANK each and every one of you who have ordered from us this Holiday Season! Never in my wildest dreams did I expect to be as busy as we are! I sincerely apologize for the December 15th cut off date for orders, but to ensure quality for our Clients that have ordered there was no other way as EVERYTHING that comes from our kitchen is fresh and made to order. Unfortunately, there are so many hours in a day and only one of me. The Assistant is still in school until the 21st. Good evening! We have been blessed to be extremely busy this Holiday season! ALL BASKET orders must be received no later then December 15th and PAID for in advance.. PIzzelles for baskets at this time due to heavy volume and we make everything when it is ordered are SAME FLAVOR ONLY. We hope you are having a wonderful Holiday season!! Bon Apetito and THANK YOU!!! Hello! We certainly hope you are all doing well!! November left the Assistant and I drained! She brought some sickness home from school and we were both down for the count through the Holiday. Good News is we are almost back to normal! This month has started out extremely busy. 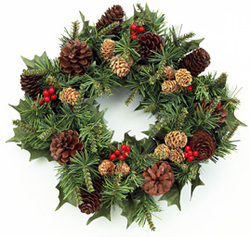 We will offer what is available on the home page, of course decorated in Holiday theme upon delivery! I will make Struffoli for you if you ask me to :D It is another one of those fun Italian recipes that is time consuming so please let me know in advance. If you are planning on ordering please do so early. We thank you for your love and support through this year! We also wish you and all you love a very HAPPY HOLIDAY SEASON!!! and definitely Bon Appetitto! It's all about the food in an Italian home! Like us on FB at /index.html for more information!!!!! We are also taking Orders for the Holidays! Please order Early! Good Morning From Gabbie and Ann! ALL BASKETS will be SHIPPED by Friday. We love what we do and without you, well we wouldn't be able to.